The parent company having more than 300 products & drawing its strength from years of proximity with doctors of various specialties across the country across that includePhysician,Surgeons, Orthopaedics,ENT, Gynecologists, Paediatricians,Chest Specialists,Gastroenterologists,Ophthalmologists,Neurologists,Psychiatrists & General Practitioners. Soigner with more than 250 products including antibiotics,analgesics,antacids,antivirals,anti-inflammatory agents,antifungals,beta-blockers,corticosteroids,hormonal preparations νtraceuticals, caters to multi-specialties professionals like Consulting Physicians,General Physicians,Gynaecologists, Neurologists, Paediatricians, Surgeons, Orthopaedics, Dentists and ENT Specialists. A division dedicated to beautiful creature of God- The Woman; a special area of focus for us is issues related to women's health and healthcare. The division "Moruf Life Sciences" is catering to the products used for women including nutritional supplements,hormonal preparations, & other drugs used in Obstetrics &Gynaecology. It is committed to nurturing woman health through dedicated customer & patient centric services. A division relating to cardio-diabetics products.The ultimate aim of this SBU is to fulfil the rapidly increasing demand for drugs for heart disease & diabetes and our commitment is to provide patients a wide range of new medical solution with a high level of safety and efficacy.Corazone offers comprehensive product basket on emerging disease areas like Congestive Heart Failure, Hypertension,Dyslipidaemias, Metabolic Syndrome and Arrhythmias. A division derived from nature and Ayurveda; introduced the formulations with the benefits of nature. The division ''Arlak Ayurveda''follows the ancient principles of Ayurveda medicine with the latest scientific technology to provide the highest quality herbal supplements available.We believe in maintaining the highest quality-control standards and our products are made from only the finest herbal extracts to ensure quality. A division includes a broad range of product used in the fields of baby care,skin care,oral care, wound care and woman's health care as well as nutritional & over-the-counter pharmaceutical products,and wellness & nutritional platforms. We aim to create and drive inspiring and sustainable healthcare solution that will efficiently develop as true brands for consumers, across the country. A division engaged in export business of a wide range of products to Middle-East and African countries. Our focus for international business also remains same and that is on improving operational efficiencies with a careful & meticulous product selection strategy based on real time market requirements. In due course of time, India has seen an emerging market for export of APls and Nutraceuticals to various parts of the world. It is an essential link between the Arlak's other divisions& the healthcare supply chain, providing pharma-generic products to retailers/chemists,dispensaries hospital & institutions. Generic formulations account for the largest percentage of hospital ∫uitional pharma business. These products are best maximized through strategic inventory & supply chain management and our Genext division is catering to this segment at most economical & affordable price strategy. A division addressing to the skin and hair affliction;having a robust product range catering to General Dermatology,Dermatology,Cosmetology &Tricology and is structured with a flagship in dermatology and Cosmetology segments. The name "Derma Concepts" is depicting the ideology of offering concepts in the field of dermatology and represents its strong commitment to dermatology reflecting freedom from various dermatological problems. Your "Nayan" inspire us for a promise of "Vision". 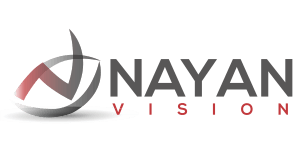 Nayan Vision's goal is to be a leading ophthalmic products marketing company and market its range of products through a well-established national and international distribution network, providing the vision care industry with ophthalmic products and technologies of the highest quality. Critical care medicines encompases representing the exreme of human disease. It is dealing with the diagnosis , treatment and prevention of disease of the eye and visual system.